Ambs Call Center is a 24/7 complete live answering service. It offers virtual receptionists, call center services, employee reporting, automated messaging, text messaging, and more. 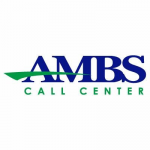 In this article, we covered Ambs Call Center reviews and pricing. Ready to get started? Visit its website. As of the date this article was written (April 01, 2019), there are no up-to-date Ambs Call Center reviews online. If you are a past or current Ambs Call Center customer, leave a review to help other business owners who are deciding whether or not to use the company. Ambs Call Center pricing is based on five subscription options: Pay As You Go ($59/month +$1.25/minute), 100 Minutes ($139/month), 250 Minutes ($249/month), 500 Minutes ($479/month), and 500+ Minutes (customized). The main difference between the plans is the number of call minutes that can be consumed per month. *If a user exceeds 100 call minutes per month, the plan will cost $184 instead of $59. Users who will exceed the call minute allocation per month will be charged $0.97/minute. Ready to get started with Ambs Call Center? Visit its website. 6 Best Answering Services: Answering services provide live or virtual receptionist phone service to businesses who want to make sure calls are answered around the clock or specific times or days. In this guide, we shared our recommendations based on affordability, available features, and level of customer support. What types of businesses can benefit from Ambs Call Center’s services? Ambs Call Center offers answering services to the following types of businesses: real estate, insurance, IT, property management, manufacturing, vet, healthcare, entrepreneurial, and more. How does Ambs Call Center help users automate messaging? Ambs Call Center provides users with fast call routing and screening through an automated virtual receptionist. It also gives them a unified voicemail service that allows them to accept voicemails for their whole team and instantly receive message notifications. Have you read these Ambs Call Center reviews and are still not sure if it’s the right fit for you? 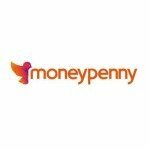 Read our reviews of all top answering service providers or check out one of these three Ambs Call Center competitors.